I've not had a giveaway for some time, but I do like to give something back to my readers. So here we go. A tasty selection courtesy of Simply Good Food TV. 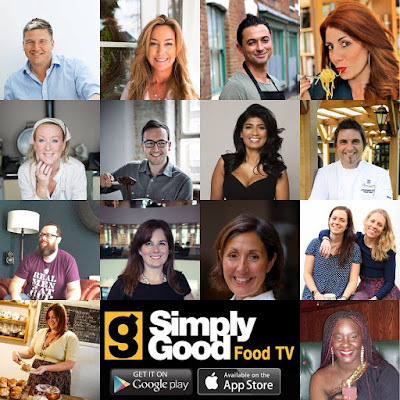 So who are Simply Good Food TV? 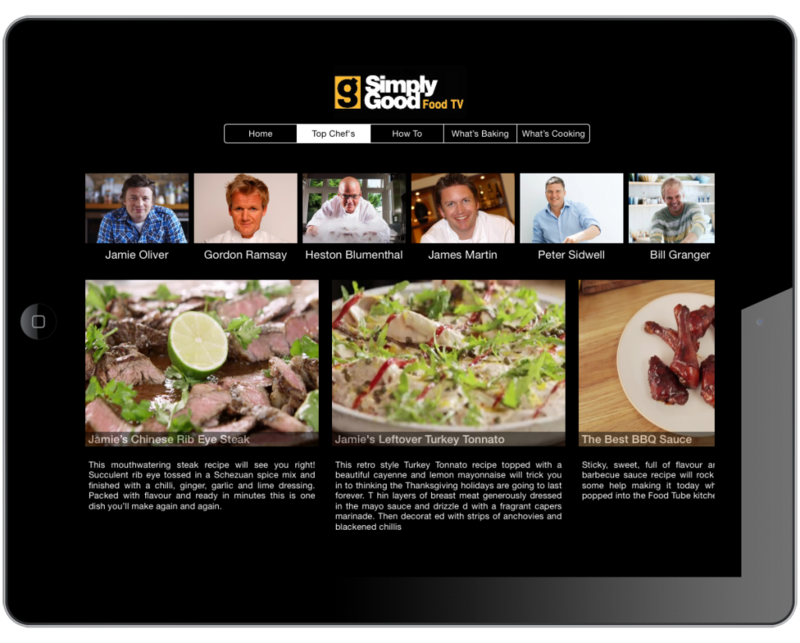 Simply Good Food TV is the world first dedicated mobile app food TV channel. The very best of food from all over the world all in one place in just a few clicks. Top quality food programming with chefs such as Jamie Oliver, Gordon Ramsey, Hemsley & Hemsley and many other famous names there is also original TV content from a range of upcoming chefs and TV personalities including Peter Sidwell, Will Torrent, Mich Turner, Jon Fell, Nikki Walsh, Theo Michaels, Carmela Sereno Hayes and our very own Charlotte Pike from Charlotte's Kitchen Diary. The app has over 600 recipes programmes with an additional 50 being added each month. Download the new Simply Good Food TV app for apple or for android. To enter, just leave a comment telling me who your favourite TV chef is and register your entry using the rafflecopter box below. There are some extra options in there too. This giveaway runs until 31 October 2015 and is open to UK residents aged 18 and over. 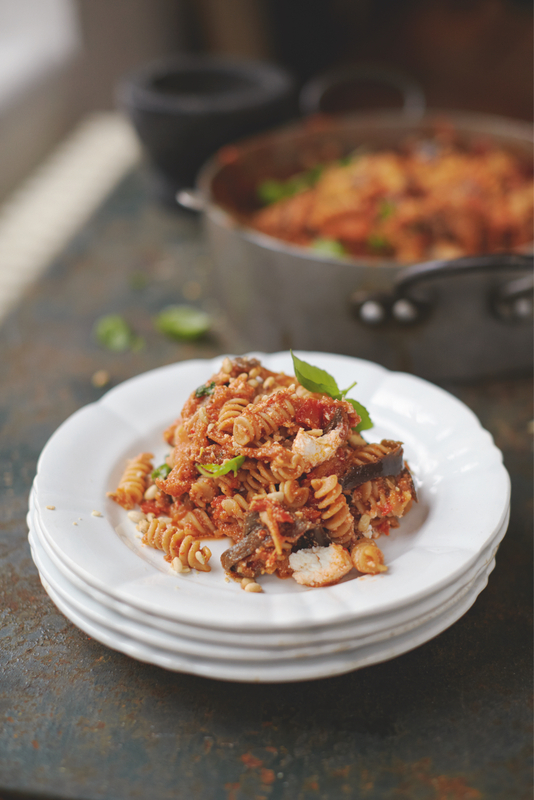 Talking of TV chefs, have you checked out Jamie Oliver's Happiness Pasta from his new cookbook Everyday Superfood (which accompanies the TV programme Jamie's Super Food)? It's simple but super tasty and I've been given special permission to share the recipe with you. Jamie can also be found on Simply Good Food TV. 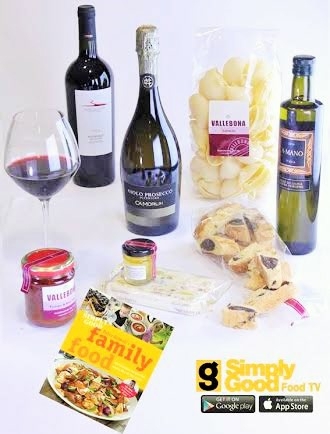 Disclosure: I'm holding this giveaway on behalf of Simply Food TV, I was not paid to do so and did not recieve this foodie prize. Brian Turner - I especially enjoyed watching him in 'Taste of Britain' alongside Janet Street-Porter! I think it has to be Nigel Slater. Why aren't there any vegetarian chefs I wonder? That would be great. I have recently been absolutely loving Rick Stein, his most recent escapades have been wonderful to watch and very inspiring in the kitchen! David Williams - Nigella for cakes and curves! I really enjoyed watching Lorraine Pascale's baking series. I love Nigel Slater's books, great modern home cooking. I like Jamie Oliver, he's a lovely bloke ! Such a difficult question! I'll go with Jamie Oliver but Mary Berry, Rick Stein, Hugh Fearnley-Whittingstall and Nigella Lawson are all up there! Jamie Oliver as the Naked chef brings back memories. Nigella Lawson. True home cooking that we can all do! Gordon Ramsey as I love his kitchen nightmares show! Tom Kerridge, seems down to earth and makes the recipes look (fairly) easy. Delia Smith. I grew up with both her books and TV shows. I especially remember her on Swap Shop on Saturday mornings. She inspired me to love cooking.